My roommate/bestie, Liz, and I have an ongoing tradition that we spend New Year’s Day doing some post-Christmas shopping. One of the treasures I found was this NuMe Titan 3 curling wand set. I’d had my eye on one of these sets for awhile, as they’re quite popular in the beauty blogging community, but I’d just bought a curling wand a few months back, so I couldn’t justify spending full price on a set. Then TJ Maxx happened, and I found the set there for a fraction of the price—and it’s one of the best purchases I’ve made. 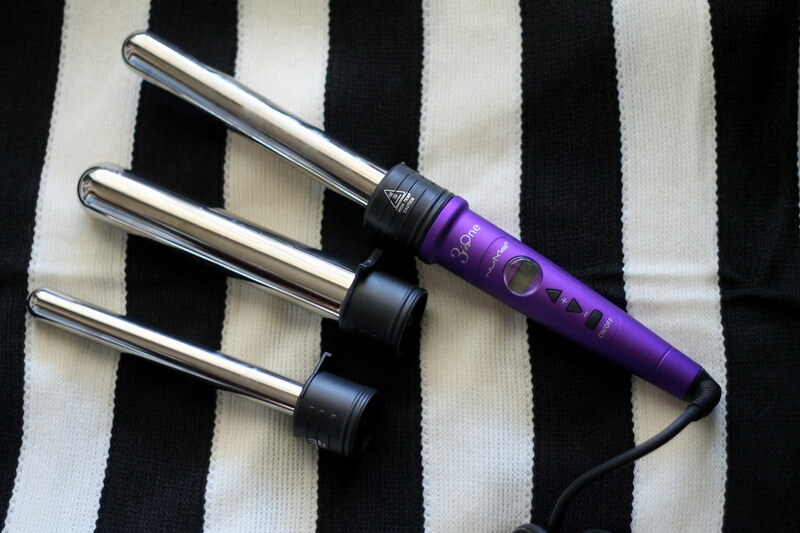 This curling wand is a game-changer. Not only does it have interchangeable wand sizes, but it heats up in a minute. As someone with curly hair, I like to use a curling wand to de-frizz and polish my top layer of curls. Liz has used it and has stick-straight hair, and she’s in love with the set, as well. It keeps curls tighter and smoother, and Liz has found she can sleep on her curls without need to retouch. The only downside is that these suckers get really hot. Even the tiniest brush of your skin against one of the barrels can be pretty painful (just ask my roommate and her wrist). The end result, though, is quite unlike any other curling wand I’ve tried, so if you happen to be in the market for an upgrade, NuMe (or your local TJ Maxx) is definitely worth a look!